A selection of our client work. 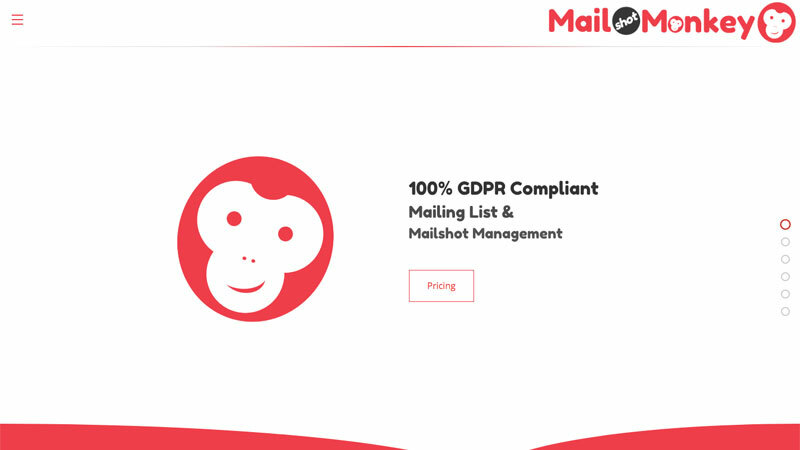 Mailshot Monkey is a brand new bulk emailing service which focuses on offering the small business a 100% GDPR compliant mailing list service at ver affordable prices. As well as designing and building their website (a heavily modified version of our Minimum template) we have also been involved in designing and building their newsletters management processes. Caffeine Injection is also part of the ongoing team delivering low cost high quality newsletter and mailing list services to Mailshot Monkey clients, as well as our own who are all transitioning to the new service. Client websites created in Lisburn & Belfast.